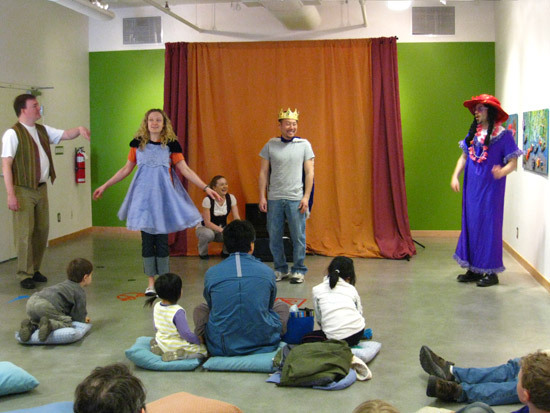 Our most recent installment of the ArtStarts on Saturdays series saw the gallery filled with laughter, silly-ness, and grownups in funny costumes, as DuffleBag Theatre presented their interactive version of the classic fairy tale Cinderella. As promised, audience members had the chance to play the starring role of Cinderella and the Prince. The first round challenge was accepted by an enthusiastic (and very convincing) pair of grownups, who probably weren’t anticipating the need to improvise fairy tale characters when they woke up that morning. Lead roles in the second round were played by two young audience members who were equally enthusiastic and convincing, (and no less embarrassed) as the first pair, though it was clear from the audience's laughter (and the actors' giggling) that fun was had by all. 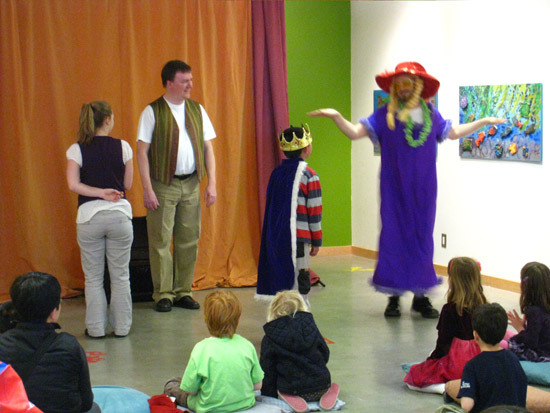 A huge thank you to everyone from DuffleBag Theatre for sharing your tremendous acting skills, not to mention the gift of laughter and fun, with everyone ArtStarts. And thanks to everyone who came out to have fun with us! 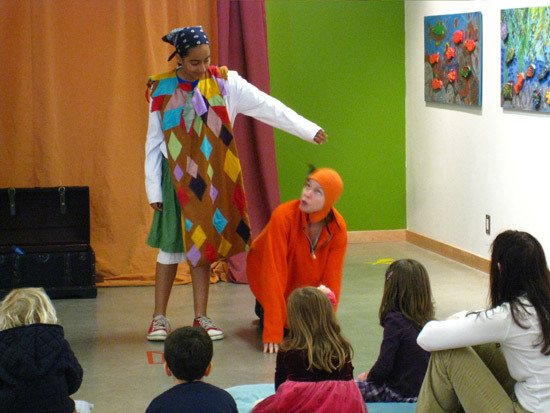 ArtStarts on Saturdays takes place on the last Saturday of every month. Check out past workshops here and be sure to join us on May 28th when Fana Soro will be teaching African drumming.